You would want to make sure that you are using something safe for your dearest baby, right? Not all additive-free or organic products are really 100% safe, so you need to be careful. 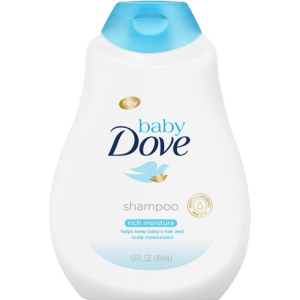 In this article, we will be discussing what you need to know while choosing a baby shampoo. We’ll also be introducing products from Dove, Mustela, and other brands in rank order by comparing their reviews and ingredients. Hope this can help you out! A baby’s skin is more delicate than that of adults. How should we choose baby shampoos wisely? We will discuss them below. Head-to-Toe Wash or Shampoo? When to Choose Which? Baby shampoos have a “head-to-toe” type and a “shampoo only” type. We recommend using the “head-to-toe” wash for newborn babies with little hair, and also because it can be hard to wash a newborn baby’s head and body with different products too. You should start to use shampoos only for hair from when your baby starts growing a full head of hair. 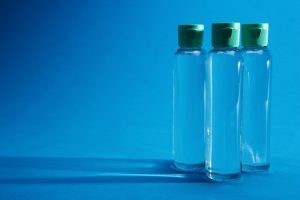 A lot of shampoos available in the market include surfactants and water. “Laureth Sulfate Na” and “Lauryl Sulfate Na” are one of the ingredients that have strong detergents, try to avoid them as much as possible. “Laurylsulfate Ammonium” and “Ammonium Xylenesulfonate” are ingredients that we want to avoid as well. Labels on shampoo bottles list down their ingredients in descending order of amount, make sure to check them out! 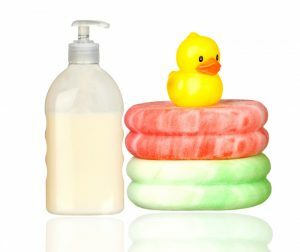 Adults tend to choose shampoos based on the fragrance, but if you are choosing your baby’s shampoo, it will be best to choose a fragrance-free and color-free product. However, there are studies that mention how a fragrance can be important to a baby’s growth. Parents can also feel calm and relaxed if they use a shampoo with a nice fragrance. Choose fragrance-free products for month-old babies, and slowly shift to fragrant shampoos as your baby grows, while checking on them too. If your baby’s hair is frizzy, and their scalp seems itchy, we recommend shampoos with moisturizers. Most of the time, you will give your baby a bath alone. That is why it is very important to choose a product that is easy to use. For babies who still can’t support their own head, a container where you need to open and close the bottle is not really a good option, because you have to support your baby’s head. That’s why a bottle pump which can easily dispense shampoo is recommended. There are products that already pumps out foam instead of liquid form shampoo. This will get rid of the process of creating foam with your own hands. Check if your baby shampoo product has this feature. From here, we will show you the top 10 items available online. If you’ve been having problems finding the right baby shampoo with a nice smell, this is the product for you! Many users buzz about how good its smell is and how long it lasts. Plus, a lot of reviews mentioned how well this works on kids with dry hair and scalp as well, making it an effective moisturizer. It is great that this product has a nice fragrance and a decent moisturizing effect at this relatively affordable price. However, this product includes Sodium Lauryl Sulfate, so you might want to avoid it if your baby has a sensitive skin. Human Nature has been very popular for their products that are gentle yet affordable. 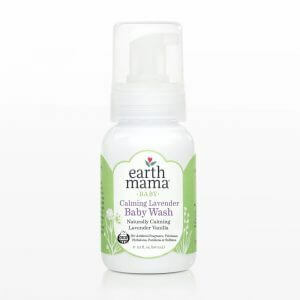 Their baby wash is one of the products that a lot of mommies love, because of its fragrance that lasts for a whole day. It has natural lavender, rosemary and chamomile extracts that can give your baby a soothing bathing experience. A lot of users started using this product because of their pediatrician’s recommendation. One of the dilemmas that mommies with children who have sensitive skin face, is that most hypoallergenic products are unscented, making their kids to smell like sweat or smell dirty at the end of the day. This product was able to add a gentle scent with it to keep your kid smelling fresh all day even after a long day under the sun. This product includes oat extract, which can smooth hair cuticles and reduce hair breakage and split ends. It is recommended for babies who like to play outside since UV rays are one of the main causes of hair damage. This product is very popular for its effectiveness in keeping their children fresh and mildly fragrant, even on hot summer days. There were reviews from other countries that mentioned how this product is not effective during winter because of its watery texture but perfect during summer. Thus, it is great for a country like the Philippines! There were reviews that mentioned it kind of made their kids’ skin a bit dry. You might want to use this together with a lotion if your baby has dry skin, to keep them moisturized. This product contains avocado perseose to protect the skin barrier and keep them moisturized at the same time while maintaining healthy skin. 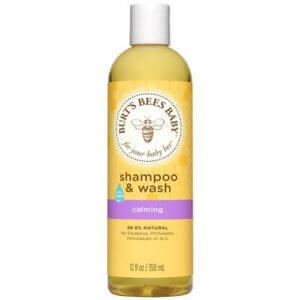 After washing with this shampoo, your baby’s hair will be clean, mildly fragrant, and static free, to prevent hair breakage throughout the day. A lot of reviews mentioned how easy it is to rinse them off, a definitely helpful characteristic, when bathing an infant or hyperactive kids to keep the bath time as short as possible. 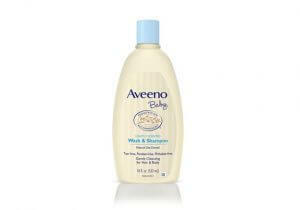 This baby shampoo has a high moisturizing ingredient, as they are made mainly with organic shea butter and almond oil. These ingredients will not only gently clean your baby’s hair and scalp, but will also help moisturize them and give the hair a beautiful shine. This is highly recommended to those who have a baby girl with long and voluminous hair. Keep them shiny and tangle free with this conditioning shampoo. A lot of users loved its mild fragrance as well. This is one of the most gentle shampoos with organic ingredients without harmful chemicals and artificial fragrance. Its organic calming lavender scent will help calm your baby and soothe them during and after bath time. It also comes with a foaming bottle, to help you during bath time. This product can also be used by pregnant mommies who tend to have more sensitive skin than when they’re not pregnant yet. A product that you can trust from pregnancy, up to your baby’s toddler years! In a hot country like the Philippines, bathing the baby more than once a day is not unusual to keep the baby feeling fresh and to avoid skin irritation caused by sweat. This product can help your baby calm and relax, to prepare them for their nap time, or bedtime. This product has a subtle and relaxing aroma lavender and vanilla blend to help calm and relax your baby for a better and deeper sleep. 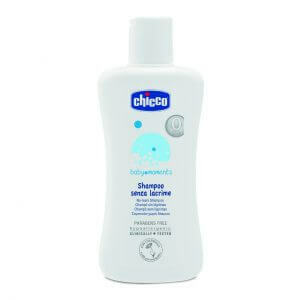 It is also infused with soy proteins enriched with vitamin B and essential minerals to moisturize baby’s hair and skin. 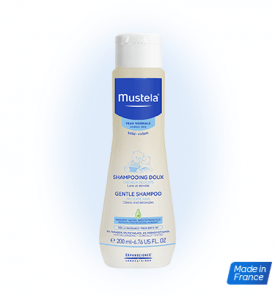 This product’s formula is almost the same as the previously introduced Mustela shampoo. 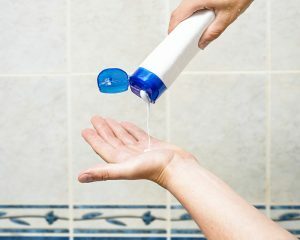 However, this product comes in a foaming bottle for easier use. 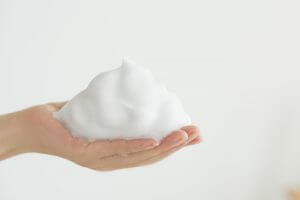 It is proven that foam type is gentler on your baby’s skin and scalp than liquid soap. It’s more expensive than other products despite its smaller size, but its useful shape is worth investing for those with enough budget. Its small size also makes it perfect for traveling. This product comes in a foaming bottle for easier use. 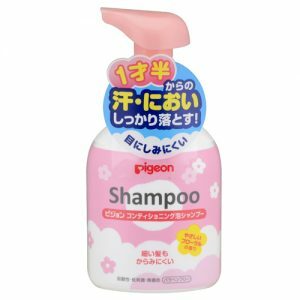 Since the foaming bottle is rare in the Philippine market as of now, the price might be a bit expensive for a baby shampoo, but you can buy refills after your first bottle to save some money. This also has a conditioning ingredient to keep your baby’s hair manageable and tangle free. This product is best for babies aged 1 1/2 and above, where kids’ hair is known to grow fuller and thicker. When to Shift to Adult Shampoos? There are no strict rules on when you should shift to adult shampoos. Though scalp and hair conditions change from one person to the other, but try to use baby shampoos until they are 1 year old, and observe their scalp and hair from time to time. Remember that their condition can also change depending on the season too. A lot of mommies shift when their babies turn 1 year old! When you decide its time for adult shampoos, you would still need to choose a gentle shampoo, and it will be good for mommies too! Make sure to check on your baby’s scalp and hair right after you make the shift. You might want to go back to baby shampoo if your baby’s head seems itchy. Most “baby products” are gentle and additive-free, but you still need to check the label to make sure they really are “additive-free”. Though it doesn’t necessarily mean it’s a good product just because they are 100% additive-free. Products without additives can easily spoil and should be used up as soon as possiblee. Choose a product that does not use harmful ingredients, while being able to moisturize your baby’s scalp and hair.